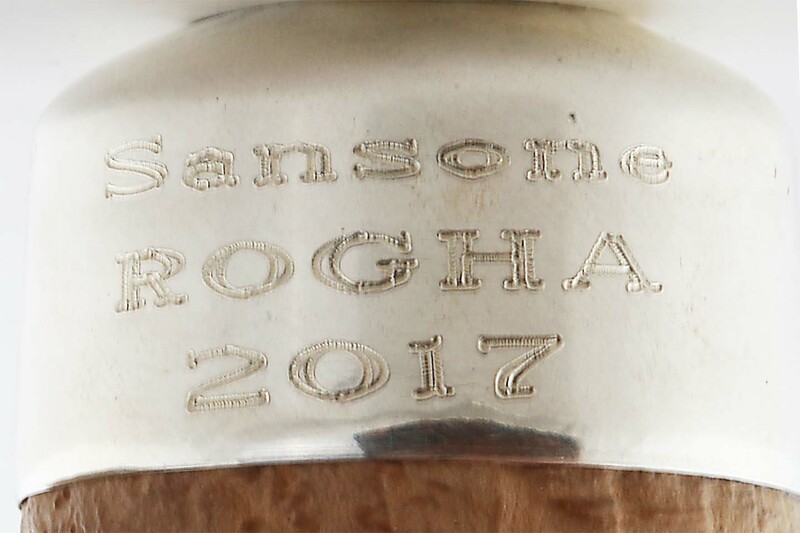 Just a brief follow-up on the Sansone Rogha pipes. The top photo shows the tamper Gianluca issued for this year’s batch, very nice with its own draw-string bag. I was a little curious to see if the X220s were, indeed, drilled with a reservoir. They are, as you can see. 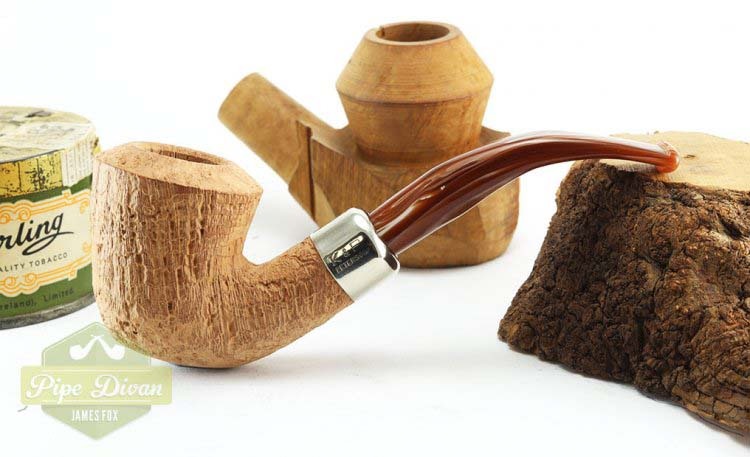 If you know Peterson’s shape charts, you’ll know this is a bit strange, as this is a System shape 312 (an 11 bowl, or 11S in current De Luxe System). The pipes are hallmarked “G” for 2017, which is spot-on. 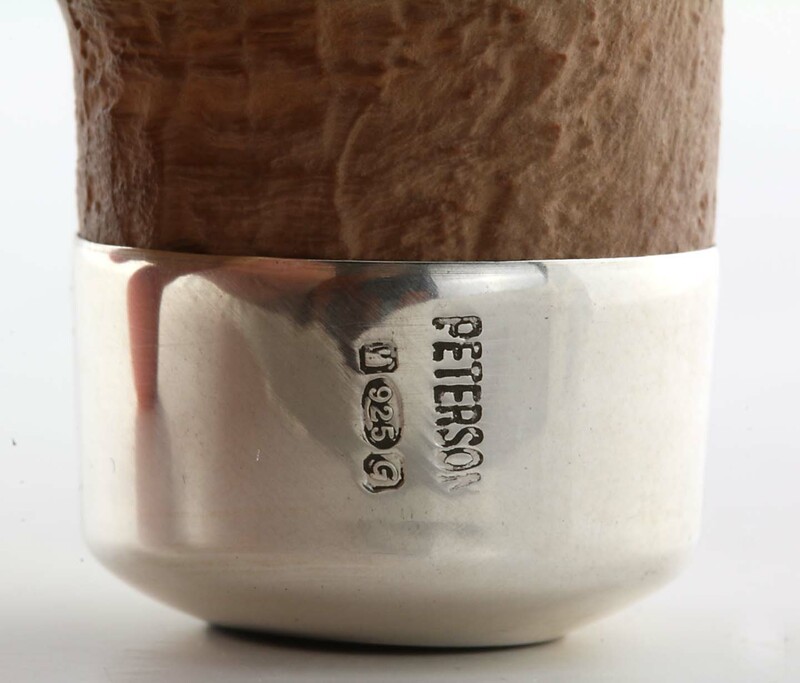 As you may have read in earlier blogs, for the first time in Peterson’s history pipes are now sometimes issued with hallmarks dating to the previous year—this in an effort to get pipes out in a timely manner, but liable to cause a bit of dating confusion. The sterling mounts are laser-engraved, which I don’t much care for, but I can see that having a hand-stamp made for every special issue might be cost-prohibitive when you have a laser-engraver there on the shop floor. They are hand-stamped with the classic fork-tail P, a classic move. And most importantly, they’ve got that fabulous acrylic P-Lip mouthpiece, so no worries there either for comfort in clinching or for a cool System smoke. It would appear that all the Roghas are now sold, but if you missed out, there’s a bit of good news. 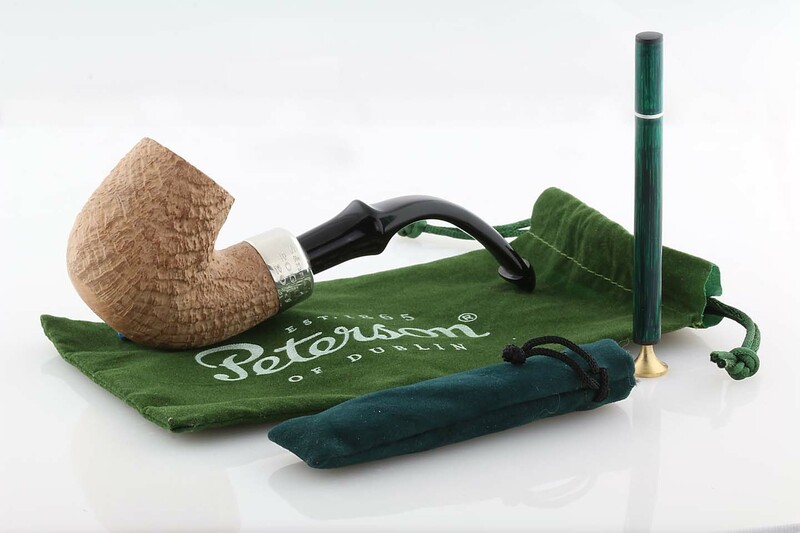 Peterson has decided to offer something like the natural virgin-style bowl in this year’s Summertime line, as you may have seen in the 2018 catalog. 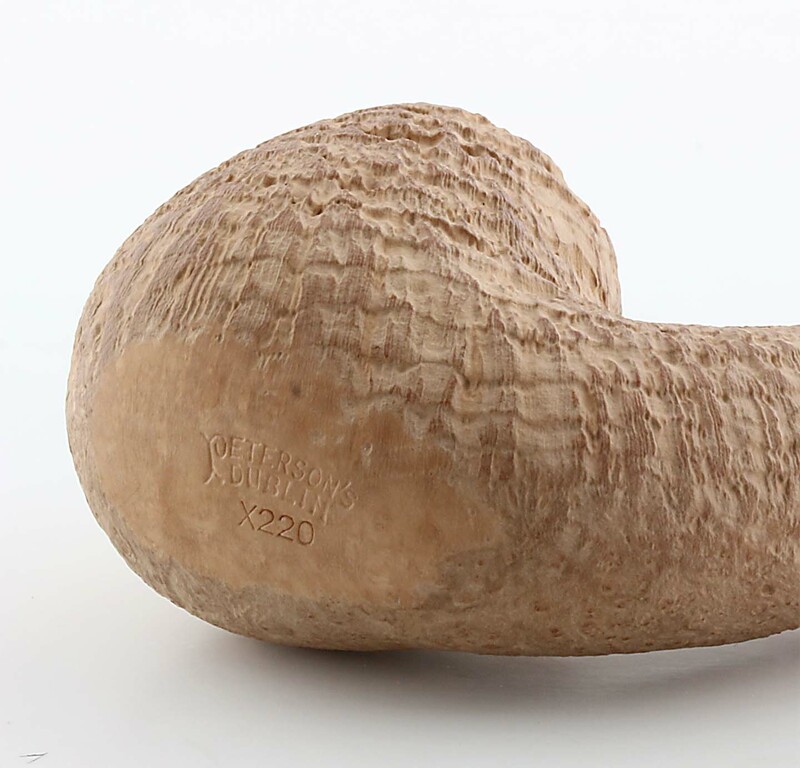 I say “something like,” because the Roghas, according to Peterson’s Italian distributor and long-time collaborator Mario Lubinski, comprised a mere 12 bowls out of more than 3,000 Mario examined in making the selection! “Choice” (Rogha) indeed. To meet the “choice” criteria, the bowls had to be clean, spot-free and have gorgeous grain. So I made inquiries with Conor Palmer, commercial director at Peterson, and he replied: “We really like the natural, ‘unprocessed’ look and feel of the Rohga pipes that were for the Italian market previously. 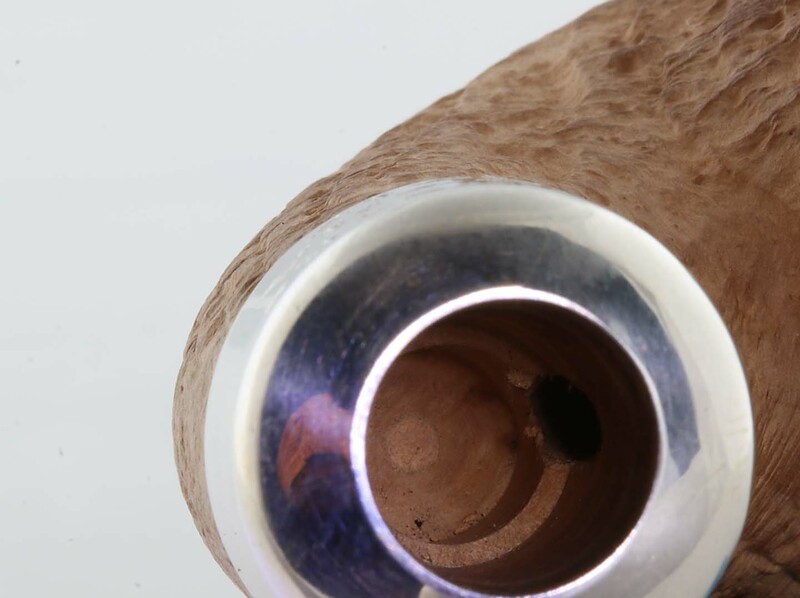 We simply wanted to offer it to the wider market and so decided to incorporate it into the 2018 series with a few small tweaks.” I’m thinking we can probably expect a few visible cracks and rough marks on the Summertime pipes, just due to the very nature of the sandblasted bowls stock. And of course, the Summertime is an army-mount, than being fully-functioning System pipes, and so requires a different smoking style. But I’m having so much fun with my Rogha, that I think I might just be up to it. I’ve smoked nine bowls so far in my X220, and must say it’s the sweetest Pete I’ve ever smoked, in part due to the bare chamber. Mario Lubinski told me it would be, and he’s spot-on. I detest breaking in a new pipe, and confess sometimes a pipe will sit in the rack for months before I gather courage to get started on it. 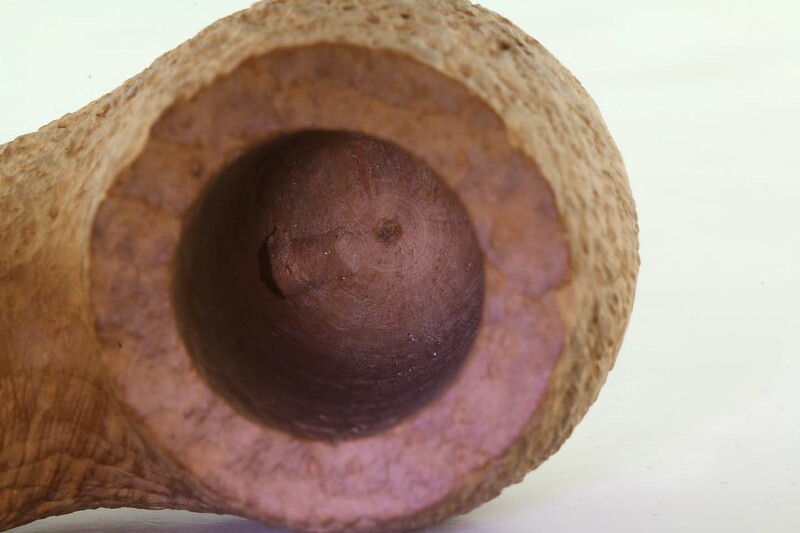 I didn’t risk high-sugar Virginias for the first few bowls, and was careful not to overheat the bowl and to keep watch for that dreaded burnt-wood taste, but all is well and it looks like the pipe is off to a running start. It’s also fun watching the outer bowl darken with each smoke. I’ve already got my scouts out looking for a Summertime B10 with its fabulous V-shaped chamber.